Today it is my pleasure to host Rave Reviews Book Club’s Spotlight Author Sherilyn Powers. In today’s post Sherilyn focuses on the phenomenon of “morphing” as it applies to allergies and sensitivities. It is a phenomenon with which I am all too familiar. I first heard about this so-called morphing in relation to allergies and sensitivities at the Environmental Health Center-Dallas, where I learned that when someone is sensitive to a food within a particular food family, it may not be long before that person develops sensitivities to other foods in that same family. To counteract this tendency for sensitivities to evolve, Dr. Rea, the center’s founder, recommended a four-day rotational diet to his patients. I followed this diet for about four years until I became so well after following Dr. Rea’s treatment program and receiving energy balancing from the healing team at A Healing Place in Richardson, Texas, that I was able to return to my normal eating patterns, based on a heart healthy diet with organic foods whenever possible and filtered water always. So … are you curious about morphing? See what Sherilyn has to say about it. While you’re at it, support her on social media and visit her website. You will find links below. Sherilyn Powers is the author of I’m Not Crazy I’m Allergic! In her book Sherilyn explores how exposure to seemingly harmless foods and substances could be related to reactions like panic attacks, depression, uncontrollable crying, brain fog, body aches and pains and many more. Speaking to people with allergies every day, I’ve come across a very interesting phenomenon: allergies/sensitivities that “morph” or change seamlessly. Sometimes so seamlessly that it takes a long time to realize it has happened. And by “morph,” I’m don’t mean a worsening of reactions, though this can happen, too, but actually a change in the type of reaction and even the form of the food to which they react. For example, a lot of people I know can’t drink milk. It gives them stomach aches, excess mucus and even diarrhea, to name a few symptoms. These people have no problems with yogurt, cheeses or even ice cream, so they don’t consider themselves allergic to dairy, just lactose intolerant. It gets interesting, however, when suddenly someone’s reactions evolve from just reacting to milk to reacting to the next food up the line, which seems to be yogurt or ice cream. These new reactions can present with symptoms similar to those they had after drinking milk, or they can be totally different. After that the softer cheeses, and finally hard cheese, can also provoke reactions. Once that happens, dairy can sometimes no longer be tolerated at all, and drinking milk may cause debilitating reactions where it once only caused a bit of mucus. I found the same type of thing happened to me with gluten. 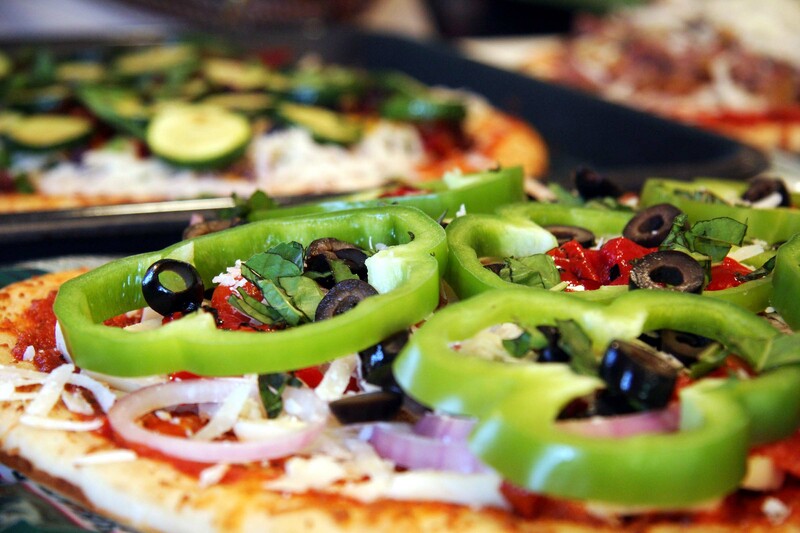 Before I found out I had Celiac disease, I had a lot of very interesting reactions to gluten. I had eaten it my entire life and had never known it was the cause of my so-called “IBS” (irritable bowel syndrome). When I finally started to suspect a wheat allergy (I knew nothing about Celiac disease at the time), I noticed I had lesser reactions with some gluten-containing foods than others (e.g., spelt and kamut), and I found I could more easily eat foods prepared one way rather than another (toast vs bread, for instance). At that time, I had no idea that gluten was a factor. I just knew I tolerated certain foods better than others. It was after I was diagnosed with Celiac disease that I was able to put it all together from my notes. How many people would have noticed the difference between how they felt having milk and cheese or eating toast and then eating bread? I probably would have missed it, too, but I had been sick and had eaten nothing but toast for a week. I went from that to eating an untoasted sandwich and my throat began to swell up. That rather caught my attention. This doesn’t happen with everyone, but I’m using these examples to point out that allergies/sensitivities are not static. Just because drinking milk makes you sneeze one day, it does not mean that it will still make you sneeze three years from now, or that only milk, among all dairy products, will elicit a reaction. When you are trying to discover what your allergies and sensitivities are, don’t forget that cooking and processing foods can sometimes not only change your reaction, but also can influence whether you have a reaction at all. In a New York Times article on September 12, 2014, Michael Wines reported the results of a study by the U.S. Geological Survey that collected data on pesticides from 1992 to 2011 at over 200 monitoring locations. 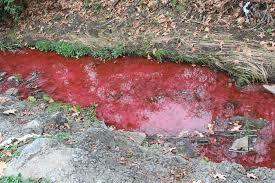 The bad news is that the study found pesticides and herbicides in nearly every waterway in our country. The good news, however, and decidedly the good news is for only two types of waterways, is that levels declined from the first decade of the study to the second in agricultural streams and other streams other than urban streams. As Wines writes: “From 1992 to 2001 17 percent of agricultural streams and 5 percent of other streams had at least one pesticide whose average annual concentration was above the maximum contaminant level for drinking water. But in the second decade, from 2002 to 2011, the survey found dangerous pesticide concentrations in only one stream nationwide.” And the reason for this decline? 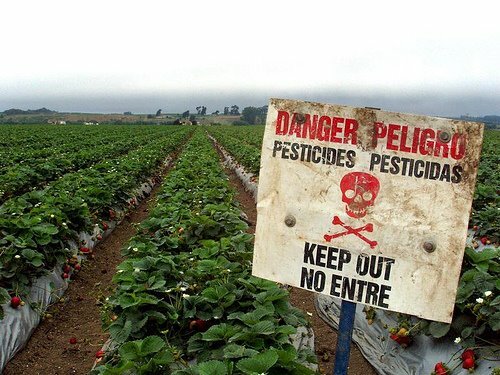 Regulations to control the monitored pesticides forced manufacturers to focus elsewhere. Before you start celebrating, however, you should know that, as Wines points out, this decline was a decline in name only. 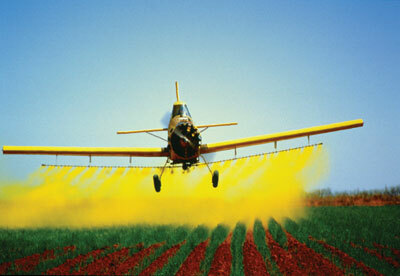 In fact, as the use of pesticides became more heavily regulated, manufacturers turned to substitute chemicals. In urban streams, pesticide levels above the threshold for aquatic life jumped from 53 percent in the first decade to 90 percent in the second. Part of this jump was attributed to two pesticides—fipronil and dichlorvus, both heavily used in household products, such as flea collars, roach killers (fipronil) and no-pest strips, and dog de-wormers (dichlorvus). As the use of other pesticides became more heavily regulated, manufacturers turned to fipronil and dichlorvus as substitutes. 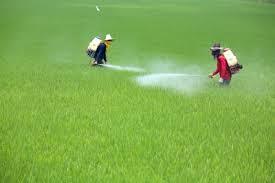 Thus the sudden increase in those pesticides during the second decade. Furthermore, the U.S.G.S. study did not monitor pyrethroids or glyphosate (brand name Roundup). Although I have no experience with Roundup, I can speak to pyrethroids from firsthand experience. In Intentional Healing: One Woman’s Path to Higher Consciousness and Freedom from Environmental and Other Chronic Illnesses, I described my acute exposure to deltamethrin and delta dust during a visit from exterminators. Let’s start with some background: Type II pyrethroids, such as deltamethrin and permethrin, are sold to the public as safe for domestic use. Safe for children, pets, the elderly, for humans in general. How do they work? They attack the nervous systems of insects through sodium-ion channels. The principal effects of pyrethroids as a class are various signs of excitatory neurotoxicity. Humans, as mammals, have many more sodium ion channels than insects. And the symptoms I experienced when the exterminators started working—tachycardia, inability to organize my thoughts, breathing difficulties, burning that began in my scalp and spread throughout my body— seemed to indicate that my nervous system was being affected. I later found out at the Environmental Health Center-Dallas that my nervous system had, in fact, been affected. Despite the assurances I had received that pyrethroids are safe for humans, I was harmed by them. Just as the nervous systems of insects are attacked by pyrethroids so, too, was mine. 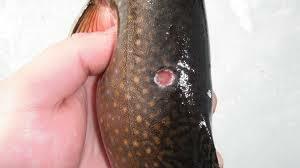 Pyrethroids are highly toxic to aquatic organisms. Because the pyrethroids can accumulate in sediments, risk to sediment-dwelling organisms is an area of particular concern. Recent water quality monitoring efforts in California have identified pyrethroids in sediments of water bodies adjacent to residential/urban areas. These monitoring data, coupled with additional pyrethroid-specific data submitted to the Agency, highlight existing concerns regarding residential uses of pyrethroid pesticide products and movement into non-target areas through runoff or spray drift that may occur during applications. To reduce exposure to water bodies from non-agricultural and agricultural uses of pyrethroids, the Agency deployed the following labeling initiatives. Environmental Hazard and General Labeling for Pyrethroid and Synergized Pyrethrins Non-agricultural Outdoor Products – Revised February 2013 – To reduce exposure from residential uses of pyrethroids and pyrethrins products, EPA implemented a 2009 labeling initiative, with minor revisions in 2013, requiring revised Environmental Hazard Statements and general Directions for Use for pyrethroid and pyrethrins pesticide products used in non-agricultural outdoor settings. The label statements spell out good stewardship and best-management practices and clarify how these types of products are intended to be used. These label statements serve to reduce the potential for runoff and drift to water bodies that can result from applications of pyrethroid end-use products in residential, commercial, institutional, and industrial areas, applied by both professional pesticide control operators and residential consumers. Pyrethroid Spray Drift Initiative – In the reregistration process for permethrin and cypermethrin, the Agency determined that the existing spray drift language for pyrethroid agricultural products needed to be updated to comply with FIFRA. Because of similarities in use patterns, and concern for exposure to aquatic resources, the Agency believes that this updated label language is necessary for all pyrethroid products used on agricultural crops. In a letter from the Agency (PDF) (6 pp, 75k, About PDF) dated February 21, 2008, registrants were instructed to incorporate the revised spray drift language onto their agricultural labels, and submit the amended labels to the Agency. Do you now feel protected from toxic runoff? I don’t. It may be the height of folly, or just another example of the hubris we exhibit toward our place among living organisms, to think that a substance that is deadly to any living creature will not pose dangers to ourselves. I know I am not a lone case. Since the incident in our home in 2002, I’ve met many others who were harmed by pesticides thought to be safe for humans. At the Environmental Health Center-Dallas, thousands of patients have been treated for exposure to toxic chemicals. And the EHC-D is only one of hundreds of clinics and medical practices around the world devoted to treating people who have been exposed to toxins. If we want to safeguard the environment for ourselves, our families, and the generations that follow us, we need to adopt a new way of thinking about unregulated and regulated pesticides, herbicides, and chemicals. If we think that everyone who uses chemicals will do so in a responsible way, then we are closing our eyes to human nature. If we accept that the substances used to kill insects won’t harm us or our children, if we believe that the pesticides and herbicides we spray on agricultural fields that eventually work their way into our water systems won’t harm aquatic life or the animals (ourselves included) that eat fish, then we will continue to degrade ourselves, the earth, our oceans, and every living creature. Through these organizations, you’ll have access to the latest environmental developments and political news related to the environment as well as to online petitions so that your voice can be heard. I urge you to take a stand. Speak up for the earth and all of her children. My thanks to Google free images for all but the last of the visuals in this article. 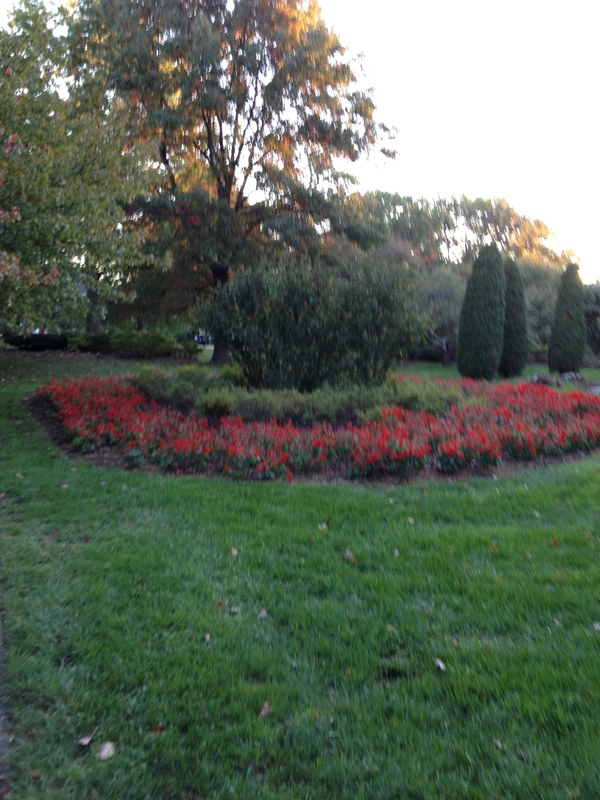 I photographed this nature scene in Sherwood Gardens in Baltimore during one of my meditation walks. 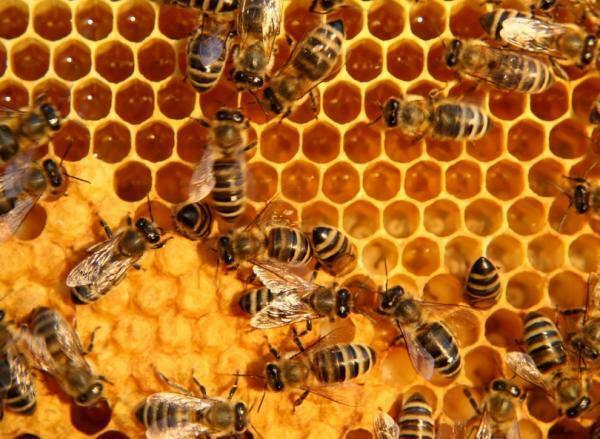 A recent article in the New York Times by Michael Wines reported on the collapse of honey bee colonies around the world. So called colony collapse disorder, which began to be reported in 2005, has pushed annual die-off rates from a norm of 5 to 10 percent of bees in a colony to 40 to 80 percent in some cases. As someone who sees the earth and everything on it and in it as sacred, a part of the divine consciousness manifested, I was greatly concerned when I first read about this phenomenon in Wines’ article. I was even more dismayed to read further that beekeepers and environmental and consumer groups were convinced that these collapses could be traced to the growing number of pesticides, herbicides, and fungicides used to control insect infestation, in particular to a class of pesticides called neonicotinoids, so named because they are derived from nicotine. 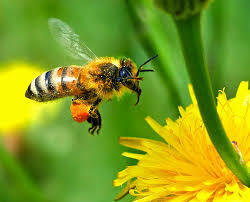 Neonicotinoids, or neonics, began to be used widely in 2005, thus the suspicion that the colony collapse disorder is linked to their use. To help readers understand the importance of bees to agriculture, Wines draws attention to the impact of pollination on annual harvests of fruits, vegetables, and nuts: “Fewer bees means smaller harvests and higher food prices.” For more information, you can check out “Mystery Malady Kills More Bees, Heightening Worry on Farm,” Michael Wines, New York Times, March 28, 2013. What moves colony collapse disorder from a concern of limited stakeholders to that of our society at large, however, is the fact that neonicotinoids are only one of many pesticides judged acceptable for use on our food supply and in our homes, all of which do have toxic effects on people and pets, separately or in combination with the other “safe” toxins to which we are exposed in our foods, homes, gardens, water, personal care products, and even in the air we breathe. In his April 13 article in the New York Times, Think Those Chemicals Have Been Tested?, Ian Urbina brought attention to the use of unregulated chemicals in personal care products and paints, as well as on clothing (stain-resistant treatments) and furniture, mattresses, in particular (fire-retardants).Urbana explained that the burden to prove or disprove safety is on the EPA, which doesn’t have the resources to monitor the 85,000 industrial chemicals now in use. He cites the fact that of all the chemicals in use, the EPA has succeeded in banning only five: chloroflurocarbons, dioxin, polychlorinated biphenyls, hexavalent chromium, and asbestos. Yet scientists report that babies are being born with a myriad of synthetic chemicals in their blood. If you haven’t yet gotten the point that we are unprotected from unregulated chemicals, then watch this video of interviews with Linda Chae, researcher and consumer advocate, and then go to her website for more information on what is poisoning us every day. Note: If you are concerned about the use of triclosan in everything from household detergents to shampoos, Chae’s video will provide the information you seek. What can we, as consumers and parents concerned about the health and safety of our children and ourselves, do to shine the light on the unregulated and inadequately tested chemicals in our environment? Plenty. And in a positive way that will enhance our energies and set a good example for future generations. First, buy products that are safer for the environment. Many supermarkets now sell more eco-friendly products, such as Seventh Generation. Here is a link for Seventh Generation coupons. If you don’t live near, or can’t drive to, a supermarket that sells organic or non-toxic/less toxic cleaning and gardening products, you can buy them online. 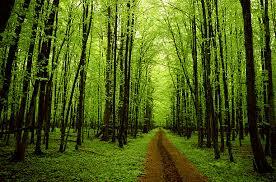 Just enter key words such as “environmentally friendly,” “ecofriendly,” “organic,” “non-toxic,” or “less toxic” products. Buy from manufacturers that recognize environmental concerns and produce products that are safer for us, our children, and the earth. Second, check out the shopping lists online at the Environmental Working Group’s website for advice on what organic fruits and vegetables are must buys and learn which conventional ones can be safely eaten. Buy as much organic produce as you can afford. Third, support grassroots efforts to clean up neighborhood parks and schools. Lobby for nutritional lunches and work actively to keep cell phone towers away from schools to shield children as they grow to maturity. Call for environmentally friendly cleaning products, paints, grouts, and sealers to be used in schools and community centers. Fourth, contact your state senators and encourage them to vote for legislation that would mandate that manufacturers demonstrate the safety of chemicals before they can be sold. Last, take all of these steps with a positive attitude and love in your heart. Join your energies to the energies of those who seek change through positive means. When you keep positive thoughts around you, you attract the positive. Take a deep breath, send negative thoughts into the earth surrounded by light, and keep your heart open. Instead of allowing what we love to be harmed by unregulated chemicals, let us join with the new consciousness of living on the earth with respect for everything on it and in it. All life is sacred. We are all connected. If we allow chemicals to harm the insect life on our planet, we allow ourselves to be harmed as well. If we continue to buy and use products that harm the environment, we harm ourselves and our children and grandchildren. 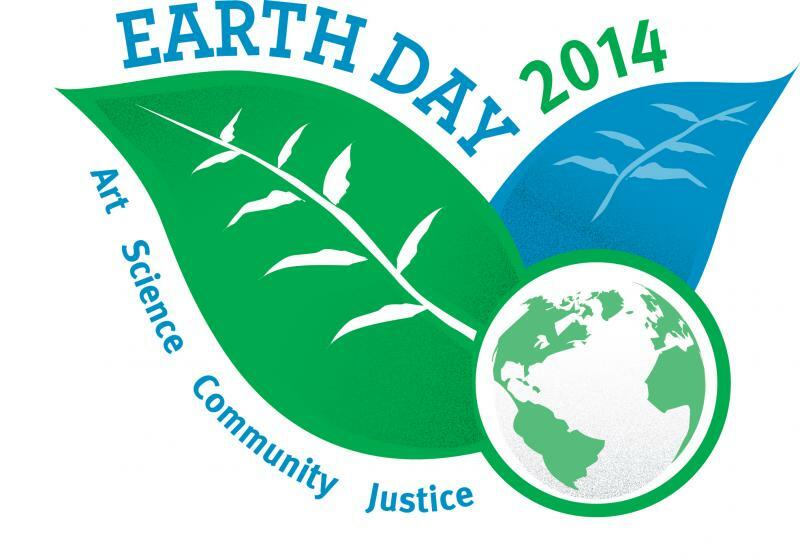 Change the way you live on the earth, and preserve earth for future generations. In conjunction with “My Writing Process” blog tour, I will be giving away a $10 Amazon gift card to one of the readers of this post who leaves a comment. Here is how it will work. At the end of this week, I will write the name of each person who has left a comment on this blog on a slip of paper. All slips will go into a hat, and I’ll have my husband draw a slip from the hat. An Amazon gift card worth $10 will go to the person whose slip he draws, so be sure to leave your email address for possible delivery. The giveaway will close at midnight on Friday, April 4, 2014. My Writing Process Blog Tour. I was fortunate to be asked by my friend Kathryn C. Treat, author of Allergic to Life: My Battle for Survival, Courage, and Hope, to join “My Writing Process” blog tour. Kathy and I met in 2003 at the Environmental Health Center-Dallas. Our friendship began as we supported each other through the rigors of testing and treatment at the Center and developed long-distance by telephone and email. Little did we know, all those years ago, that one day we’d support each other as authors. I have admired Kathy’s strength and determination to recover from environmental illness. She applies those same qualities to her new tasks as an author, and she has taught me a great deal about social media and promotion. I have her to thank for my WordPress site, which she helped me construct after my book website was hacked. To find out more about Kathy and her journey through environmental illness, you can check out her website or her blog. Here, thanks to Kathy, are my thoughts on my writing process. From 2004 through 2012 while we were living in Santa Fe, New Mexico, I visited Navajo country, the Jicarilla Apache reservation, and Northern New Mexican pueblos, attending sacred dances and visiting sacred sites in a three-state area. 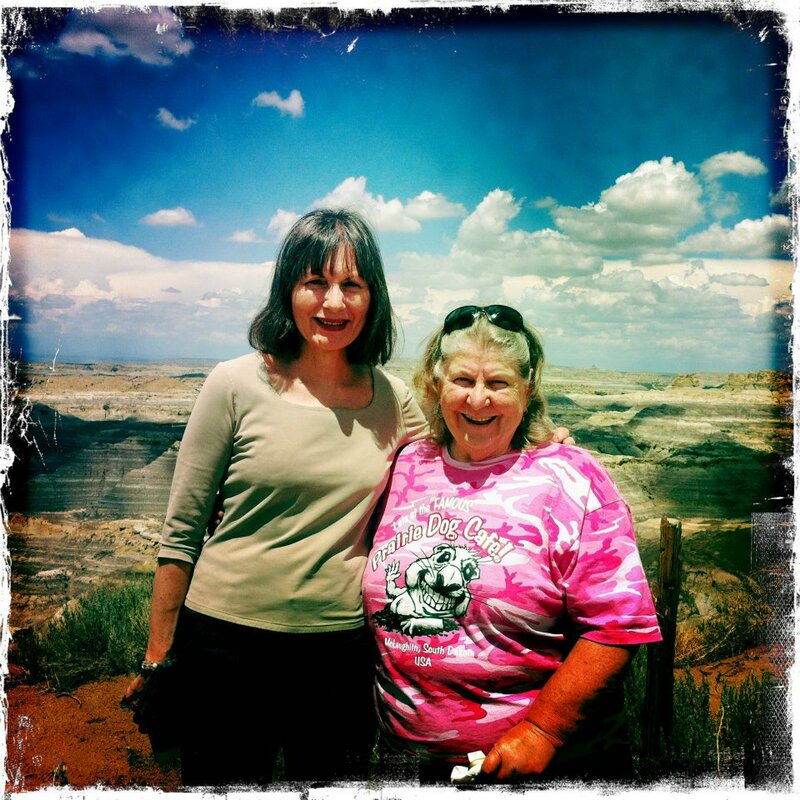 On many trips, I was fortunate to have the company of my friend Christine Gregg, a sacred pipe carrier and sweat lodge keeper, who is a member of the Katala Okolakiciye, a traditional Lakota women’s society. Sometimes, Christine’s apprentice, Esther Maria Lindner, accompanied us. 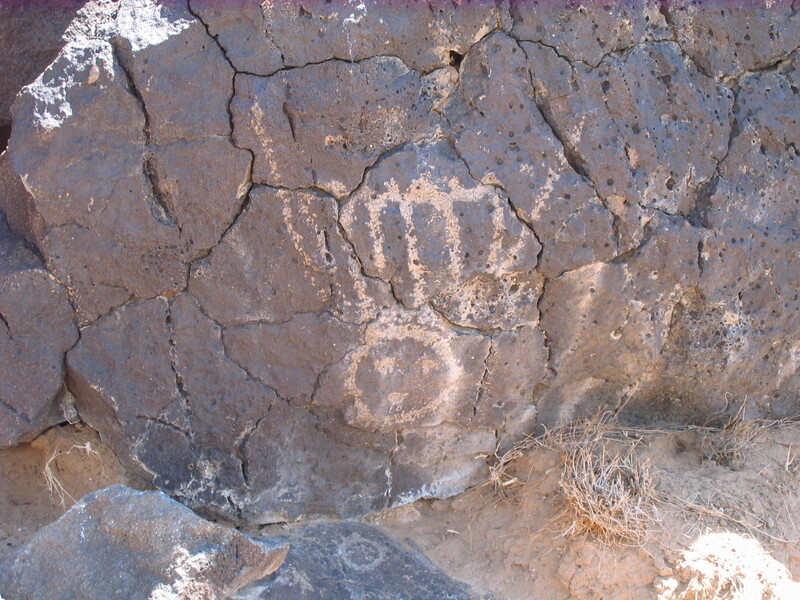 On one of our trips we traced the journey of the Jemez maidens, who were sent by their elders under cover of night into Navajo country. This is only one of the historical events I researched for a book I envisioned that would tell the story of a remarkable Navajo headman who lived in the first half of the nineteenth century and played the dual role of encouraging his people to go into captivity and then, through negotiations with one of the U.S. Army’s ablest generals, of leading his people out of captivity, not to a U.S. Indian reservation but to their homes within the sacred boundaries of Navajo country. I am developing this story line now. At the same time I’ve been developing the theme of the Authentic Self–Higher Self or Soul–through my blog posts, sharing what I’ve learned about getting in touch with that side of ourselves through breathing and visualizations and developing awareness of the human energy system. I wear many hats as a writer. While some of my blog posts fit neatly into the bodymindspirit genre, many of the topics I choose to pursue identify me as a writer in the field of public health, a calling I’ve followed since 1989. Whereas in earlier years I wrote and worked with experts primarily in the fields of substance abuse and cardiovascular disease about topics assigned to me through the consulting companies for which I worked, now I write about the environment and its effects on health, not surprising since my health was affected by exposure to environmental toxins. I still accept commissions for public health and medical science editing with my husband, Roger, who is a retired physician and epidemiologist. We’ve had the privilege of supporting the Initiative for Vulnerable Populations, based at the University of California Berkeley, editing journal articles, a book chapter, presentations, and press releases. I write to make a difference–a difference in the lives of the people I reach, a difference in the fields of public health and medicine through facilitating the communication of ideas and findings from research. I write about things that matter to me greatly. Isn’t that a part of man’s need? To make a difference somewhere? Or at least to think we are making a difference, part ego and part Authentic Self, reaching out to fellow travelers. My process varies with what I am doing, but usually the basics include (1) an idea or concept, (2) research, (3) consultation with an expert, if appropriate, (4) a rough draft, (5) review by others, and (6) final draft. For my next book I am venturing into historical fiction, with lots of room for imagination, but even for that work, a retelling of the life of Barboncito and his ancestors, I spent years researching and visiting the areas to be included in the settings. My name is Meglena Ivanova. 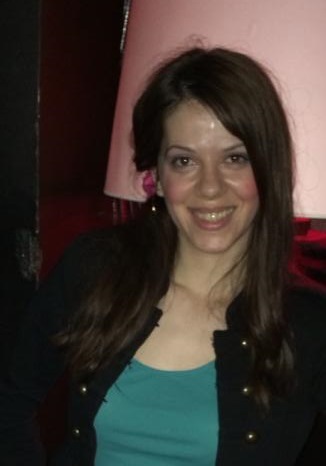 I’m Bulgarian author, blogger and essayist. I live in NYC with my husband, bearded dragon /lizard/ and abnormally strange cat. When I’m not writing, reading or blogging, I enjoy gaining insights into the psychologies of other cultures and times. I’m also into dancing, movies, and Apple products. 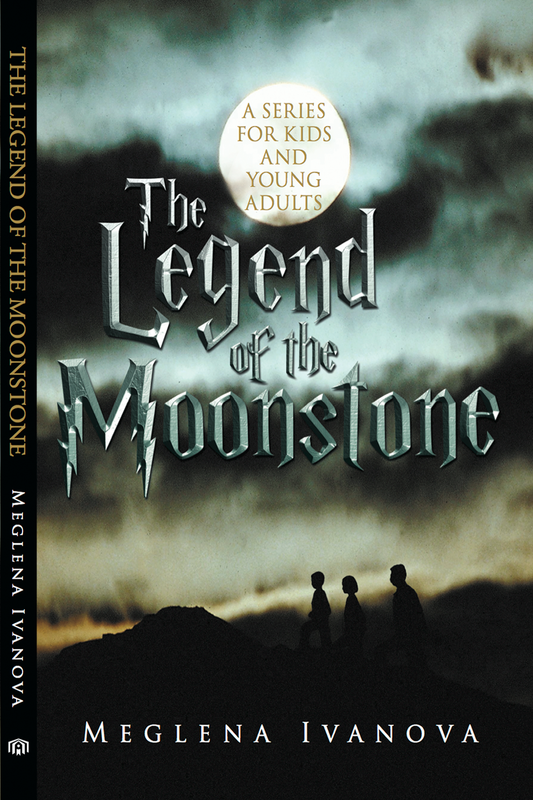 Occasionally I like to write short (usually about mystical, mythological creatures and old but sacred objects that are described in ancient legends) fiction stories. 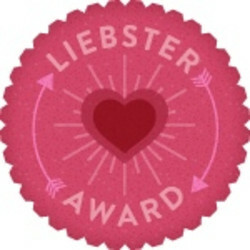 I’ve Been Honored with a Liebster Award for Blogging! Wow! My wordpress blog debuted on January 19, 2014, and I’ve just been nominated for a Liebster Award by Meglena Ivanova. Many thanks to Meglena for this honor! Answer 11 questions from the person who nominated you. Nominate 11 new bloggers and ask them 11 questions. You cannot nominate the person who nominated you. You must let the people you nominate know they have been nominated. 1. What is your biggest goal in life? My goals have changed as I moved from childhood into young adulthood, then adulthood, and now my senior years. I suppose they were all achievement oriented in the beginning. With maturity and a spiritual awakening, they’ve become more process oriented. 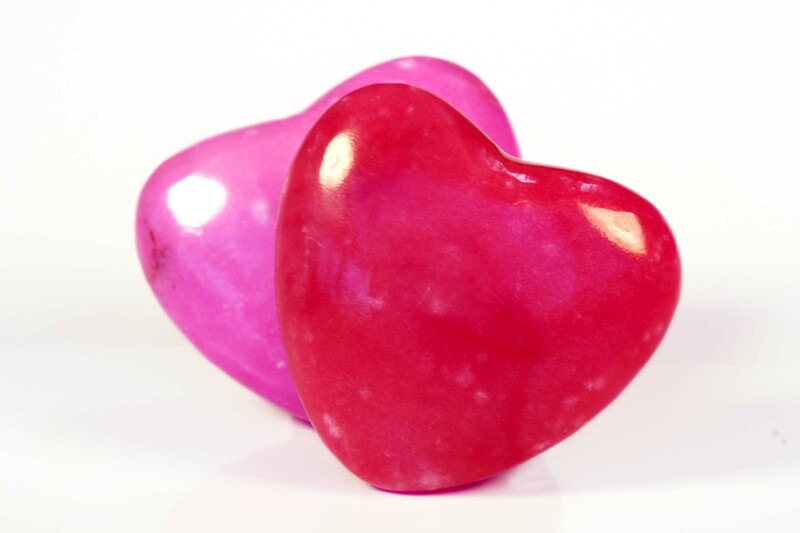 So if I were to choose one process-oriented goal, it would be this: to interact with everyone I meet through my heart. 2. What’s your dream job? I am in my dream job. Writing gives me joy and contentment. 3. Would you rather follow your heart or your head? No contest: my heart every time. 4. If you are allowed to do just one thing for the rest of your life, what would it be? Write, write, write! 5. What do you think of this expression: Where there was fire, ashes remain? 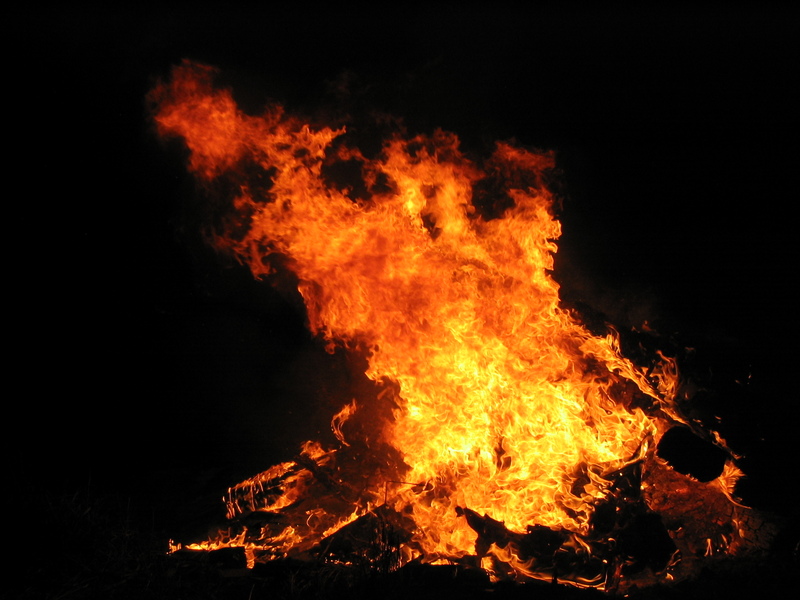 If one thinks of fire as purification, what remains is the purest essence of what was. It reminds me, of course, of the phoenix that rises from its ashes, the process of birth and rebirth—much like reincarnation of the soul that returns to complete lessons not fully learned in previous lifetimes or the spring summer fall winter cycle of nature. 6. What’s the best gift you’ve ever given and what’s the best gift you’ve ever received? The best gift I’ve ever given was to an organization for research in women’s health. I set up a template for writing a grant proposal. Not only did that approach win the research money that first year, but every year thereafter. The best gift I’ve ever received was when my son was born. I had been trying to have a baby for several years. After miscarriages and several interventions, a healthy child was born, for which I shall be forever grateful. 7. What ability or skill do you most wish you had (that you don’t have already)? I do not have a quantitative bone in my body. I would love to understand mathematical and statistical concepts. 8. If you could vacation anywhere in the world, where would you go? Straight to Italy, touring north to south and west to east, tasting all of the regional specialties. 9. What would you do without electricity for 3 days? Isn’t that what some residents of NYC had to cope with after Hurricane Sandy? A younger person might answer this question in a different way. As seniors, my husband and I would have to consider a number of safety issues related to leaving and returning home, since we live in a fourth-floor condominium. Since we exercise regularly, access would be manageable. Food during the three-day period would take resourcefulness, but I’m sure we’d work things out. Work would be difficult, especially if I were working on something with a deadline. For entertainment, I’d do what I love to do when I’m not writing, that is, read. I’m never bored with good reading material around. 10. What is your favorite book/author? Hands down, it is Mists of Avalon by Marion Zimmer Bradley. I’ve re-read it every year since it was first recommended to me. 11. What’s the biggest problem facing the world right now and if you alone could solve it, how would you do it? Lack of regulation of the manufacture of chemicals is one of the biggest environmental issues the planet faces. Solving this problem would take the combined forces of researchers and governments in every nation. If, therefore, I ruled the world, I would mandate that every chemical be tested for environmental safety, that is, safe for the air we breathe, the water we drink, the animals and fish we depend on for sustenance, the fields we plant, the food we grow. Congratulations to all my honorees. I selected you because your blogs inspire me in many ways. Don’t stop writing about what matters to you most. You have an avid follower in me. 1. Who are your role models in your professional life? 2. Who are the people who have inspired you in your personal life? 3. Choose one thing in your life for which you are immensely grateful. 4. Give one example each of how you make the chemical, emotional, mental, and physical environments in your home safer for you and those you love. 5. Choose one person in your life to whom you can tell almost anything without fear of judgment. 6. If you could choose another profession, other than the one you are in, which would you choose? 7. How would you like to be remembered? 8. What do you do for recreation? 9. What is your favorite family game, i.e., something you play or played with your children? 10. Who is your favorite poet? 11. Is there a song you like to sing? That’s it, everyone. Have fun claiming your award. Thank you, again, Meglena for nominating me for the Liebster Award. Wednesday is Day Four of my week as the Rave Reviews Book Club Spotlight Author. 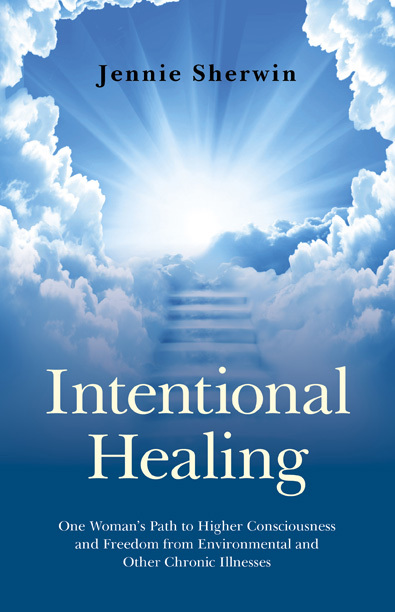 This has been an exciting few days for me as my fellow authors at Rave Reviews promote me and my book Intentional Healing… to the world. I have met so many fellow authors who Tweet about every topic imaginable, gained new followers to my fledgling blog, and continued to pick up Twitter followers. And I continue to be amazed by the writing of the author bloggers who are out there! I thank each and every one of the people who have signed up to follow my blog, retweeted or favorited the Tweets promoting me as Spotlight Author, or taken the time to comment. For those who may have missed stopping by any of the bloggers who are hosting me this week, I am listing the blog sites below. Thanks again! Nonnie Jules – @nonniejules – WATCH NONNIE WRITE! NOTE: If a link is broken or missing, it will be up and running shortly. Thanks for your patience and please, don’t forget to visit each site and leave your comments! I want to thank the Members of the Board of the Rave Reviews Book Club for this incredible opportunity to be featured as the club’s first Spotlight Author. You’ve all done a great deal of work to make this club a reality. To Nonnie Jules, Founder and President, thank you for founding the club and giving authors a place to hang their hats among friends. I am also grateful to my longtime friend Kathy Treat, Membership Director, for inviting me to join. Marketing and promotion are challenges for the first-time author. Being selected as the Spotlight Author, who receives marketing and promotion to the social media outlets as well as to print media, is truly a gift from heaven. 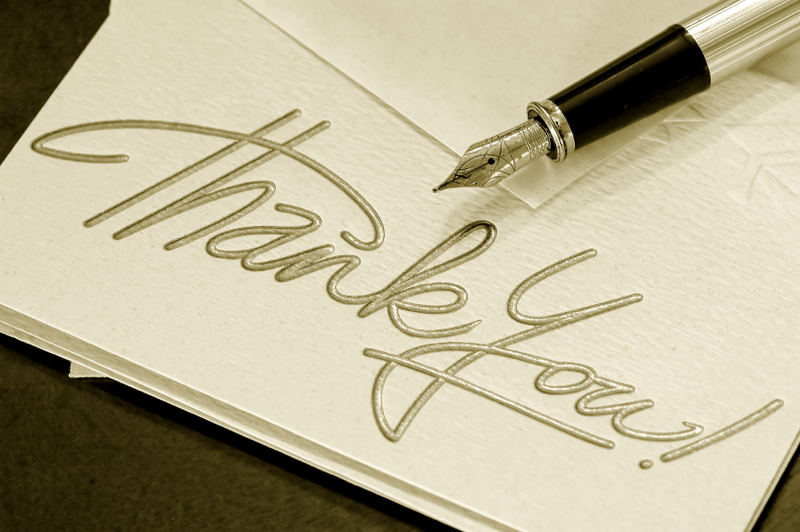 Last, but not least at all, I send a special thank you to all the bloggers who agreed to host me on their site. I am truly grateful. I have always loved to read, so it was natural for me to pursue a career where I could share my love of reading with others, which I did as a teacher of English. I liked writing, too, but it took years to hone my craft. I was fortunate to have wonderful mentors. One, in particular, at Random House, the trade publishing company in New York City, literally taught me how to think about writing, always holding the reader in mind and using that focus to sharpen the clarity of my text. My experience at Random House opened the door to a career in pubic health consulting. Working in a busy editorial office on publications for many clients, each with specific needs, gave me the perfect opportunity to gain experience writing or editing books, papers, and articles targeting different audiences at varying reading levels. As a service to all of the writers and editors who might be reading this blog, I’d like to pass along the names of the manuals that I’ve used throughout my career with links to their Amazon pages. They include the Chicago Manual of Style, Words into Type, New Hart’s Rules, Fowler’s Modern English Usage, and Scientific Style and Format. 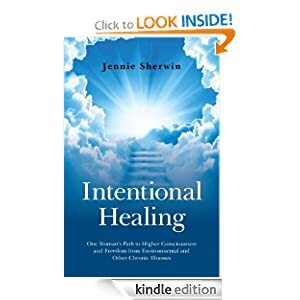 Now to my book: In Intentional Healing…I tell the story of my transformation from a Western-educated woman who worked as a writer and editor in the field of public health to a woman who awakened to a more Eastern-oriented way of thinking that included a de-emphasis on the individual and ego and an emphasis on collective consciousness and the soul. After bizarre symptoms upended my life, I sought help from Western medicine. No one I consulted could explain what was happening to me. No one, that is, until I met diagnostic detective, Dr. Leo Galland, who tied my symptoms to environmental illness and referred me to a pioneer in environmental medicine, Dr. William J. Rea, in Dallas, Texas, founder of the Environmental Health Center-Dallas. While at the EHC-D, I was introduced to the view held by doctors of environmental medicine that many chronic illnesses are triggered by environmental toxins. During treatment, I unmasked (or became aware of a sensitivity I had not recognized before) for sensitivity to electromagnetic fields. 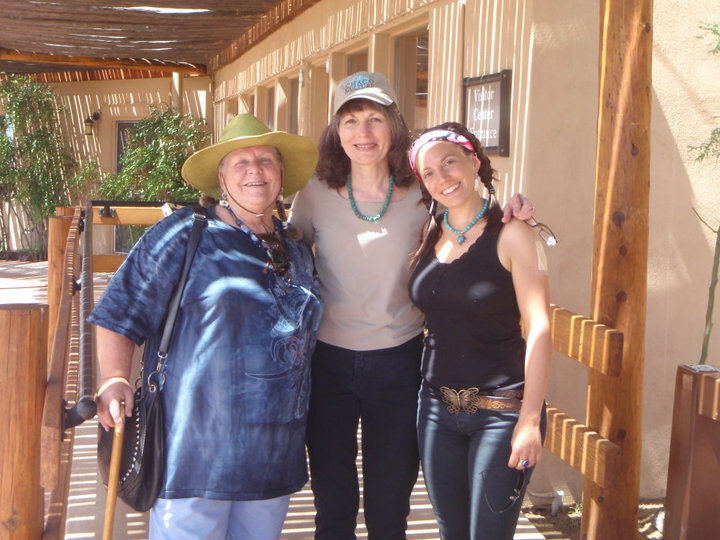 Dr. Rea referred me to Deborah Singleton, founder and director of A Healing Place, and her energy healing team. Energy balancing helped me respond to the treatment program at Dr. Rea’s clinic. With Deborah’s guidance I began the process of expanding my consciousness and understanding the real roots of illness. My journey, which included initiation into Reiki channeling and healing from Navajo hataali, took me from dark nights of the soul to a new way of thinking about illness. The New Anti-feminists: Have They Talked to Their Mothers or Grandmothers?